Last Tuesday, 1st class had a visit from Ian Patterson, who told us lots of interesting facts about birds of prey. He brought in two of his birds, Fluffy, the long eared owl and Bob the falcon. Although Fluffy had the most amazing big bright orange eyes, we learned that owls cannot see very well in the daylight. We also learned that they fly almost completely silently due the type of feathers they have. This makes them excellent hunters. 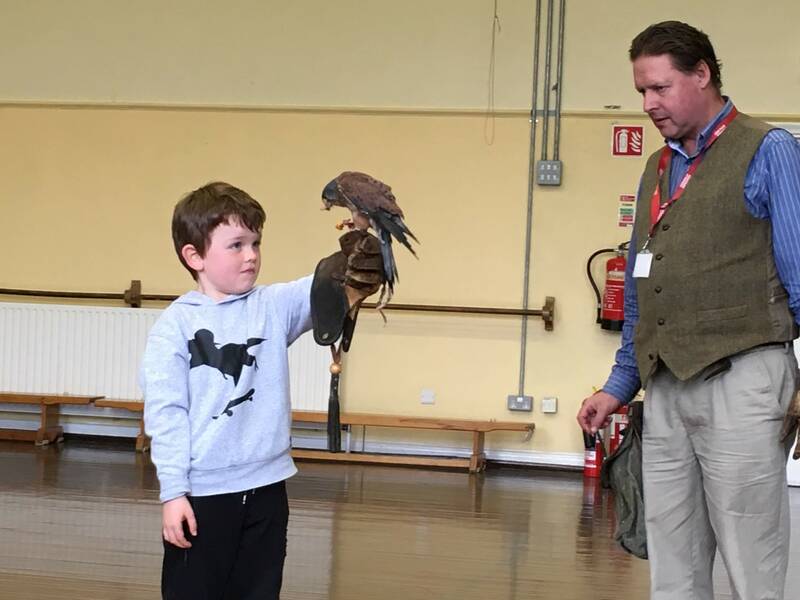 Some of the children got the chance to put on the leather glove and wait for one of these amazing birds to fly and land on their outstretched arm! It was a wonderful experience for all!